How Much Do Accountants Charge in 2018? They know the ins and outs of the 17,000 pages of UK tax law and what they do is go through your expenses with a forensic eye identifying every area where you can save money. They make sure you pay no more tax than you need to by making sure that you take advantage of every allowance and every exemption possible. For example, did you know that, if you’re a company director, you are allowed to treat yourself with non-monetary gifts of up to £50 as many times as you like as long as the amount of money you spend on yourself doesn’t exceed £300? Not many people do. Your accountant does and that does two things. He or she can add those £300 of gifts to your company’s expenses column meaning your profits go down £300, saving you 19% in corporation tax (£57). If you’re a higher rate tax payer, it also means you haven’t paid yourself that £300, meaning you won’t have to pay 40% of it in tax (£120). By doing that one thing, your accountant has saved you and your company £177 in tax. And that’s just the beginning. VAT is one of those taxes that most businesses overpay because it’s so complicated. When companies move away from doing their own books and give it to an accountant, sometimes the savings can run into thousands of pounds a year. With a good accountant who understand you and your business, you can’t go wrong. Fill in the form below and we’ll put you in touch with 3-4 local accountants that thousands of businesses near you trust with their company and personal taxes. They’ll each provide you with a quote and a full run-down of their services made bespoke to you. There’s no obligation to engage any of them as your accountant and our service is totally free. Accountant prices vary depending on what you want them to do. Each different group will require different services attracting different fees. In addition, the larger your company is in terms of turnover and the number of transactions it processes, the higher your fees are likely to be. How much do accountants charge per hour? Contrary to popular belief, most accountants do not charge by the hour – they charge by the job. The way it works is like this. You meet with an accountant who will find out as much as they possibly can about you and your business. From this conversation, they’ll be able to tell exactly what services you need in advance. They’ll then quote you an annual rate. In this annual rate, there’ll be every job they’ve agreed to do for you. Most accountants will normally add an additional bit of leeway onto the top of this figure too? Why would then add to my bill for services I haven’t agreed to? Believe it or not, it’s for your own protection. During the course of a year, particularly if you run a limited company or you have a property portfolio, HMRC may make numerous enquiries into you and your tax affairs. When you sign up with an accountant, you agree to let them be your “tax agent” – that means that HMRC goes to your accountant with any questions before they go to you. It’s one of the many hidden things that accountants have to do for clients but they keep quiet about because they don’t want to unnerve or unsettle their clients. An accountant sees his or her job as taking all of that away from you so you’re free to do what you do best – that’s running your business. Now you have your annual fee total. Most accountants will then set up a direct debit so that they can collect a monthly fee from you. That means you’re not hit with a big bill and they’re happy because they know they’ve got stable and predictable cashflow coming in every month. So, when they’re putting together their annual fee, what are some standard charges? If you’re a contractor or a freelancer, fees can be anything from £50 to £150 per month and that will cover having your accounts done, filing of your VAT forms, Self Assessment forms, bookkeeping, payroll, end of year submissions, and filing with Companies House (if a limited company). For a sole trader or someone in a business partnership which is not incorporated (that is, a limited company), fees can be between £30 and £130 per month and they’ll cover the same services listed above for contractors with the exception of filing with Companies House (sole traders and partnerships do not send their accounts to Companies House). For landlords, how much you’ll pay depends on the number of properties you have. Accounting for landlords, especially with multiple properties, is a complex from a tax point of view so you should expect to pay more. Including your own personal taxation (and corporate taxation if your properties are held in a limited company), expect from £100-£175 per month for one property rising for every additional property thereafter. Limited companies (and their directors) pay a combination of different fees which, like the examples above, will be paid monthly over a year. Fees will include Self Assessment, business accounts preparation and submission, Companies House submission, VAT returns, payroll (for members of staff), bookkeeping, and so on. Fees for limited companies can vary from as little as £100 to well over £1,000 a month depending on the size and complexity of their businesses. To get quotes from 3-4 local accountants with experience of working with businesses like yours, please fill in the form towards the top of the page. Ask the questions you need to ask to find the right accounting partner. Remember that there is no obligation to engage any accountancy firm if you use our free service. As you can see, the price you’ll pay your accountant will vary greatly. In this part of the article, we’ll look at how to work with an accountant, what they should expect from you, and what you should expect from them. Is there any way I can cut down my accountant bill? Yes. For the last few years, online bookkeeping services like Xero have become a lot more popular among small business owners. What they allow you to do is enter all your invoices (in and out) onto an online system and that keeps your financial records up to date. They allow you to allocate expenses into certain categories that will save you money on tax. You can accept debit card, credit card, and direct debit payments using apps provided by the online bookkeeping platforms. They will even link to your bank account and automatically reconcile your figures and mark off the invoices that you’ve issued that have been paid. In earlier times, most businesses would either employ a bookkeeper for a few weeks (running into thousands of pounds a year of costs) or put all of their invoices and receipts in an envelope and send it to their account (which could take up days of an individual accountant’s time). Most accountants now offer discounted services for their clients who make use of online bookkeeping software. Why? Because the figures are updated in real time and in a much more “accountant-friendly” format meaning that they can bill you less because they don’t spend as much time working on your accounts as before to get them ready for submission to HMRC or Companies House. What can I expect from my accountant? Your accountant will be in effective charge of your personal and company tax affairs – although they still have to do what you ask them to do. You should expect your accountant to make sure that all of your filings are ready in time for submission to HMRC or Companies House. Ideally, they should let you know months in advance (or weeks in advance with VAT bills) so you have time to budget to make the payments required. Regardless of whether or not you use online bookkeeping services, your accountant should question you about how your expenses are allocated. That’s important because if expenses are allocated in the wrong way, they may not reduce your tax bill. In a wider sense, your accountant should be interested in you, your company, and your future. Your accountant can do so much to save you money and give you the edge but it requires them to be proactive and communicative with you. What should my accountant expect from me? Most accountants would say that they would like you to respond to questions they have for you as quickly and as accurately as possible, especially when deadlines are looming for Self Assessment, corporation tax, VAT, and so on. Think of your accountant like a batsman/woman. His/her job is to bat as many expenses into your costs column as possible. When s/he strikes the ball, s/he wants to hit it so hard and far that HMRC won’t catch it. If you help your accountants and you are as open with him or her as possible, you give them everything they need to make sure you never get stumped on tax deadlines, tax payments, and so on. If you provide him or her with wrong or late information, you’re sending your accountant out there with a broken bat which will snap as soon as the ball has hit it. Should my accountant hold any qualifications or be a member of a particular trade body? Also, please make sure that your accountant has a robust professional indemnity policy. Accountants will occasionally make mistakes – sometimes big ones – which may cost you a lot of money. If your accountant has professional indemnity insurance and they make a mistake, you will be entitled to sue them for financial damages (although you will need to engage with a commercial solicitor to start your action). Accountants, like the rest of us, can make mistakes of us. Just make sure that you’re protected should the worst happen. What questions should I ask an accountant before engaging them? 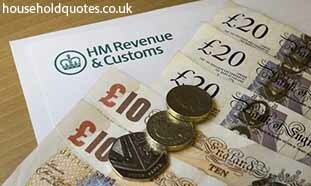 Will you be my appointed tax agent with HMRC? Which online bookkeeping package do you recommend, how much does it cost per month, and what discount can I have on your service if I use it regularly? Have you worked with businesses in my sector before? If so, can you tell me what you have found works well for them? Have you got an automatic reminder system in place to let me know about forthcoming submissions and payments to HMRC and Companies House? Can you show me details of your professional indemnity policy? How much will you save me per year and how does that compare with how much you cost?